Imagine the unwashed folk who lounged around the fire with their cups of foul ale in January 1000, wondering what the new millennium might bring. Perhaps they hoped for a better way to sharpen knives or soothe a throbbing tooth. But computers and genetic engineering? Inconceivable. Equally futile are most of our own speculations about third-millennium technology. At least we can be reasonably certain about predicting what will occur in the heavens over specific periods. True, events can take us by surprise. Some comets, for example, have such incredibly slow orbits-5,000 to 100,000 years-that every visit close to the sun seems like the first time around. But others, like Halley's, follow shorter, more predictable periods. Its next appearance in 2061 should be a winner-the comet's bright, fuzzy head will lie favorably in the northern sky and its tail may span half the sky. 2000: Jupiter approaches Saturn in the autumn sky. The eye-catching meeting of these two giant planets happens once every 20 years. 2001: Those in the upper half of the United States should look northward for vivid displays of the aurora borealis, a by-product of a peak in solar storm activity. 2003: On August 27, Mars will venture closer to Earth than at any time in the past 2,000 years. For six weeks the Red Planet will outshine everything else in the night sky except for the moon and will be a delight through backyard telescopes. 2004: In June, for the first time since 1882, Venus will cross the face of the sun, although the phenomenon will not be visible from most of the United States (see 2012, below). With a proper sun-dimming filter, this rare type of eclipse, known as a transit, can be seen without a telescope. 2004: The first spacecraft to orbit Saturn will arrive at the ringed planet for a four-year reconnaissance mission. Cassini is the last of a kind-heavy, expensive, and fully loaded. Its arrival won't be visible, of course, but you can bet that glitzy pictures from the billion-dollar mission will show up everywhere. 2006: The moon's shadow will sweep over Egypt and run through the Mediterranean. 2009: The greatest, longest solar eclipse of the 21st century will cross China and the Pacific Ocean, offering a rare 6 1/2 minutes of daytime darkness. 2012: Venus will transit the sun again, the last such event of the century. This time it will be visible from North America. 2017: Breaking a 38-year drought, a total eclipse of the sun will slash the United States from coast to coast, briefly turning day to night. It will be our first glimpse of totality in the new millennium. So, even if we can't all be as prescient as Jules Verne, at least we can predict some of the future. 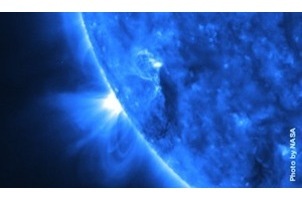 You can keep track of ever-changing celestial phenomena at Skycalendar.com: www.skycalendar.com. Sky & Telescope's "Sky at a Glance" is not exactly a millennium preview, but it's fine for making weekend sky-gazing plans: www.skypub.com/sights/sights.shtml. Want to see the arrangement of the planets on any date? Just plug in some numbers and the computer does the rest at the Solar System Live Web site: www.fourmilab.to/solar.